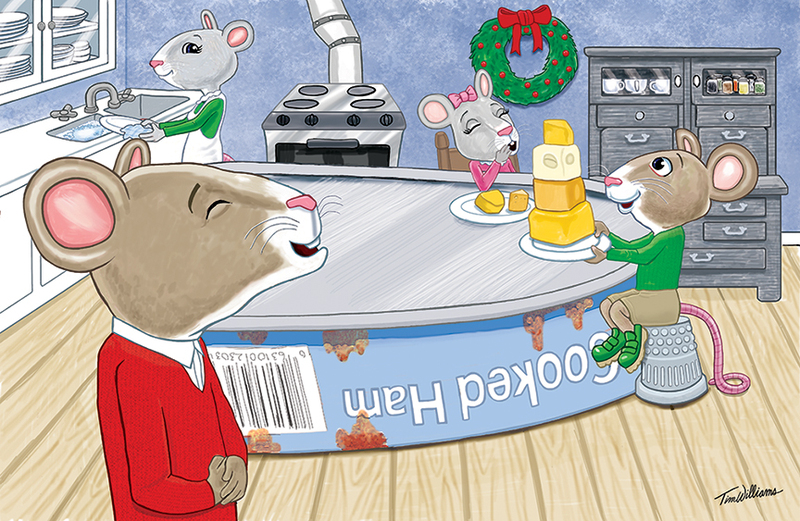 Layout illustration from Two Christmases, a children’s book about mice. 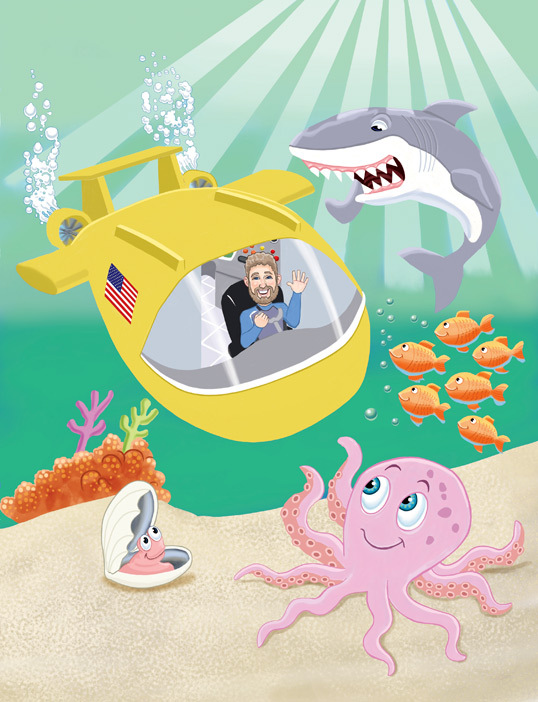 Art from a recently-completed children’s book. An emergency preparedness book for the state of Idaho. 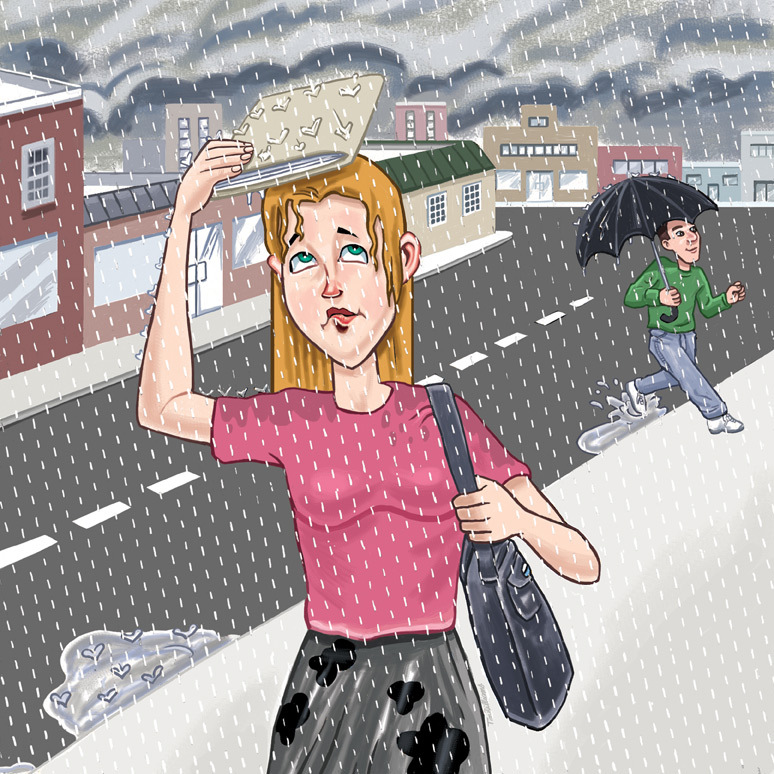 Illustration from a soon to be published children’s book about Reed, a little girl with ADHD. An illustration from 'I Miss You Even When You're Sleeping.' Published in 2017. This is an illustrated layout from a children's book I just completed. A new, cleaner vector style defines this itchy panda. This illustration was done for a Society of Children's Book Writers and Illustrators postcard competition. Art from A Big Problem with a Small Tooth children's book..
Art from children's book about Florida mascots. This is the back and front cover illustration I did for a book entitled Mother Goosed. This art of Louis Armstrong was done for a book about jazz. 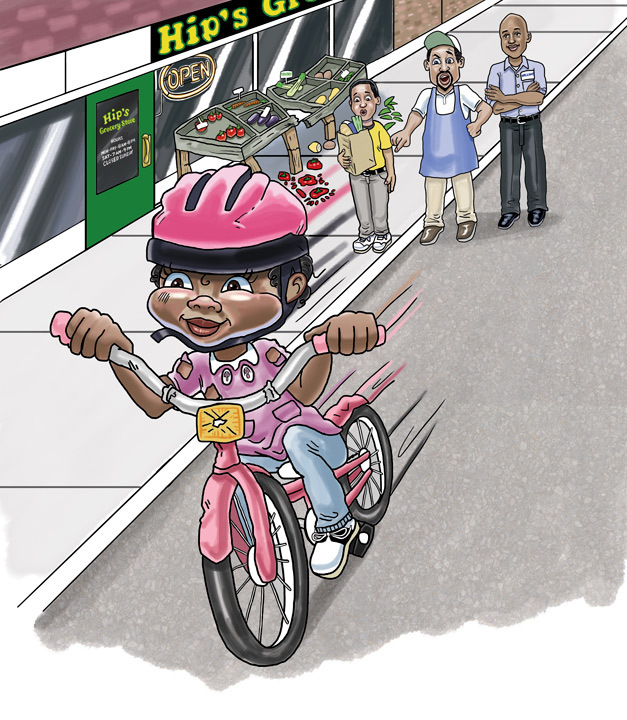 This art is from a children's book is about a little Jamaican girl. 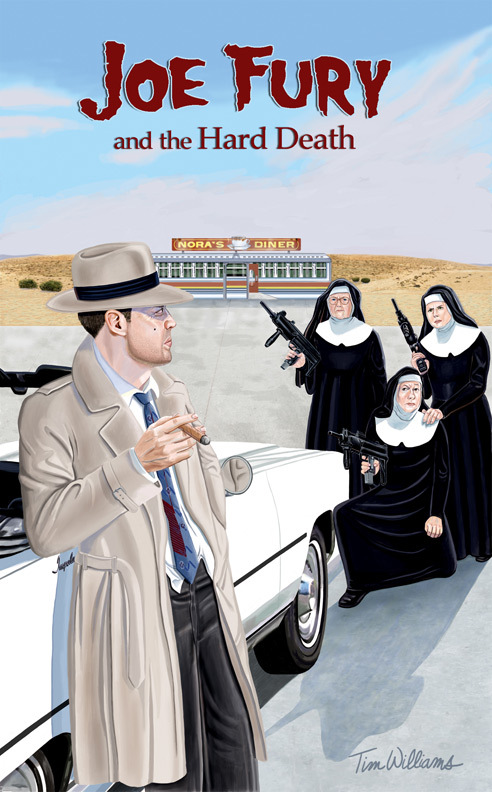 This paperback cover illustration depicts a 1940's style detective. Interior illustration from Mommy Needs a Break. 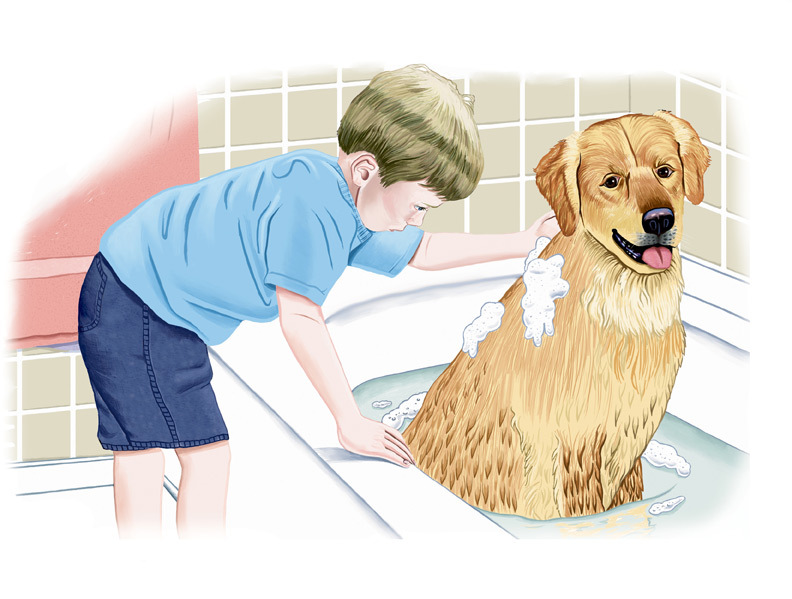 Opening interior illustration for the book Webster's Coming Home Today. More art from Webster's Coming Home Today. The boy starts to realize that this isn't his pet. This is from A is for Alabama, an alphabet book where each word relates to Alabama football. This is the opening interior spread illustration of a book that's a biography of Michael Jordan. Cover illustration for a Christmas children's book, published Christmas 2015.